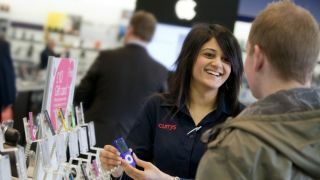 Dixons has struck a deal to make Carphone Warehouse part of its group. Not content with just PC World and Currys, the retail group has agreed a merger worth £3.8bn to bring the phone retailer into its fold, creating a new company called Dixons Carphone. Aside from making use of Carphone's 2,000 shops on high streets across Europe, the deal is also said to be a gamble on the Internet of Things taking off, with Dixons aiming to sell you your internet-enabled fridge and the smartphone you'll need to control it too. The two companies don't envisage any stores closing, although it's not clear yet if any of them will change their names as a result. Dixons Carphone. Honestly.